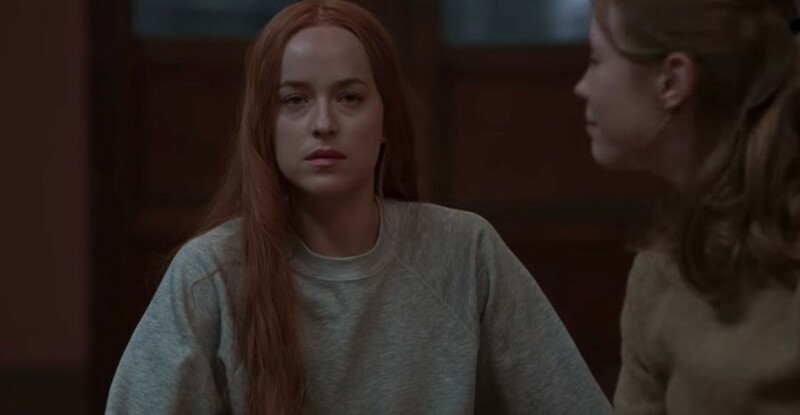 As if the trailer released last week wasn’t enough, a new clip from Suspiria has been revealed, and it’s just as unsettling. In the remake of the 1977 classic, Dakota Johnson plays dancer Susie Bannion, who discovers a disturbing secret at the Marks Dance Academy in Berlin. Tilda Swinton plays the academy’s artistic director, Madame Blanc. She stars alongside Chloe Grace Moretz, Lutz Ebersdorf and Mia Goth. The clip features Johnson’s Susie, who is called by Swinton’s Madame Blanc to improvise a dance based on her instincts. While at first, everything seems normal, the scene quickly takes a dark turn as Susie’s body jerks and jolts uncontrollably to eerie music (composed by Radiohead’s Thom Yorke) while a decrepit hand reaches towards the floorboard beneath. While the movie isn’t set to hit New York and Los Angeles theatres until October 26, before a nationwide release on November 2, it will be premiering this week at Venice Film Festival. In the meantime, check out the creepy preview below.